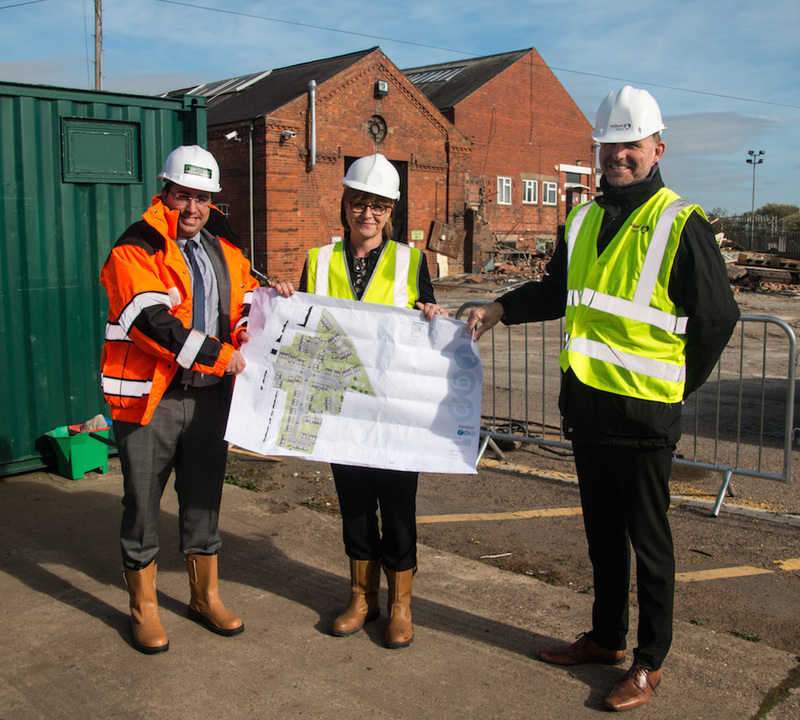 Midland Heart Housing Association is working with Partner Construction Ltd on a £13.1m project to deliver 95 homes for a mix of affordable rent and shared ownership on a six-acre former council depot site in Nuneaton. LABM speaks to Dawn Dawson, Director of Communities and Housing at Nuneaton and Bedworth Council, Chris Miller, Director of Development at Midland Heart and Chris Loizou, Head of Development (Midlands) at Partner, about the project and wider housing issues. Dawn: The depot was here for number of years but was far larger than we actually need. The buildings were in a bad state of repair and the site was very costly to run. It would have required significant investment to bring the office space up to a reasonable standard to meet modern needs. Since 2010 the Council’s budget has been cut significantly — we’ve lost around 60% of our central government grant funding, so we need to look for savings wherever possible. Selling the land generated income for the Council and allowed us to buy a smaller, less costly site in a better location. We have a significant shortage of affordable homes in the Borough so we’re delighted that Midland Heart is building affordable homes here. Basically, it’s good news all round — we’re spending less public money and creating more housing in the Borough for people who desperately need it. Have Nuneaton and Bedworth Council, Midland Heart and Partner collaborated on projects together before? Dawn: We have worked with Midland Heart on numerous occasions. Chris M: Nuneaton and Bedworth Council are one of our identified key boroughs for growth. Partner Construction is one of our key developers and they brought the opportunity to our attention. We worked jointly with Partner to bid competitively for the site. Chris L: We package the whole thing together for Midland Heart, we go in and contract with the council to acquire the land on a competitive basis. Once we secure the contract, we then get an architect, engineer and consultant on board, and we work up the detailed designs of the scheme in line with Midland Heart’s requirements. Midland Heart will liaise with the Housing Officer at the council and determine the amount of shared ownership and affordable rented units needed. We then design the scheme and work up the specification and the building contract. We then put those in for planning and work together towards getting on site as quick as we possibly can. Chris Loizou, Head of Development (Midlands) at Partner, Dawn Dawson, Director of Communities and Housing at Nuneaton and Bedworth Council and Chris Miller, Director of Development at Midland Heart. Was the planning process smooth? Chris L: Nuneaton and Bedworth Council were absolutely fantastic and the planning went through within 13 weeks. 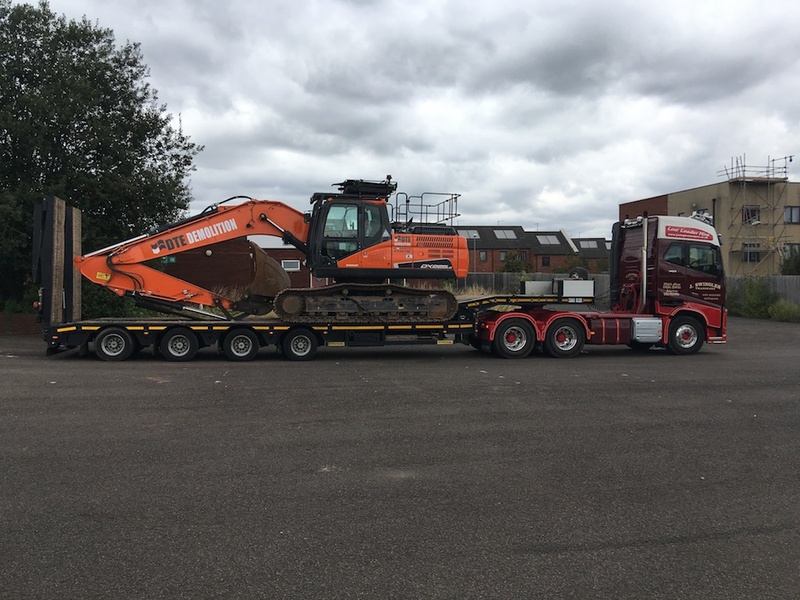 It’s the reason why we did the deal in December 2017 and started on site August 2018. We have to complete in the timeframe set by Midland Heart. A lot of councils ask us ‘what’s to stop you land banking this when you’ve just bought it’? Well we can’t, because we’ve got to hit the timeframe that Midland Heart need for their grant spend to get it into the forecasted Homes England programme and for their internal key performance indicators. Chris M: We were really pleased with how quickly the planning approval was achieved. There’s a lot of criticism about how the planning system can delay development and there are times when that is the case, but our experience here was quite the opposite. Dawn: We need more housing for all sorts of reasons — we have a huge deficit, particularly in affordable housing. We don’t want to wait many years for development to take place — when land is identified for development we want to make progress quickly. Our officers have done a lot of work around understanding what developers need to make the process much easier — we’re keen to work with developers to make sure sites are coming forward, especially those suitable for shared ownership and other affordable home ownership models. 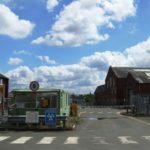 What size will the properties be on the Nuneaton site? Chris M: There will be family homes with two and three bedrooms. This is a key part of our strategy, delivering high-quality, family homes that help to meet the growing demand in this area. Dawn: We’re really keen on maximising the number of houses that are built, however space is important because you’ve still got a health and wellbeing element to housing. Has the project received any grant funding? Chris M: Homes England have supported the scheme with £2,040,500 of grant funding… The bottom line is: ‘subsidised housing needs subsidy’. This funding bridges the gap with the general market allowing us to charge rents that are lower than market rent. It’s meant that we are a little more competitive in the land buying market. A site of this size attracts the attention of private developers, so having grant gives us a little more fire-power to be able to compete and be successful in securing an opportunity like this and build much needed affordable homes. Will the homes be built using traditional construction methods? Chris L: Yes, it’s a combination of traditional strip foundations, vibro piling and driven piling solutions, beam and block floors, traditional masonry build, all the structural walls are masonry and tied in to facing brickwork. We’ve got some rendered panels for the top half of a number of the properties on key plots to break up the street scene. We’ve also got flat canopies to make it look a bit more modern. The planners didn’t want a wholly traditional look but the houses will all comply with current Building Regulation standards. The windows towards the railway line will have a higher glazing spec and acoustic trickle vents. There will also be an insulated acoustic fence installed to the whole boundary to Network Rail, 3.5m tall, to stop some of the sounds coming through. We will also be installing energy-efficient combination boilers in the properties. Do you use local labour and supply chains on projects? Chris L: We encourage our subcontractors promoting them to use local labour and suppliers. As part of our KPIs we try and monitor the ones that are looking at local labour and using apprentices, and factor that in when we go out to tender. It helps us when we go for work with our partners, like Midland Heart. We also do meet the buyer events where we set up a presentation in a local facility and invite local trades people to meet our surveying team and get on to our database. Chris M: We do a lot of work as an organisation with colleges and we’ve got an Apprenticeships Manager in the business. We ask developers who work with us for some evidence that they are going to engage local labour and supply chains. There’s a huge skills shortage and a lack of young people coming into the industry so we are really keen that we are doing something to attract fresh talent — there are many great careers in the building industry. Dawn: As a council, part of our role is to promote the local economy — we do this in many ways, including our ‘Think Local First’ initiative, which encourages local spending. Do you think there will be an increase in council housebuilding? Dawn: We’re expecting the Borrowing Cap to be lifted, which will allow more building to go ahead. Local authorities haven’t really built in any significant way since the late 1970s early 1980s but the change will make it possible for most stock holding local authorities to start developing again in some way. Here in Nuneaton and Bedworth, we’re actually well ahead of the curve — we’ve been building again for the last few years, making use of new innovative construction methods, including some excellent modular housing models. In September, government announced an extra £2bn for new homes in England and called for an end to the stigma surrounding social housing. What do you think about this? Chris M: There’s a much greater focus now on social and affordable housing. We’ve got the first wave of strategic partnerships announced by Homes England, and government are looking at longer-term deals for housing associations, so for me, it’s a really interesting time. Seeing the turnaround from two or three years ago, where we weren’t as well thought of, it’s really satisfying to see the change in approach. Dawn: The Green Paper talks about how social housing tenants are stigmatised, but in my experience that’s not the case at all, there’s always been a strong respectability around social housing. It is wonderful that the Government are now moving away from the focus on home ownership and freeing up choice. Chris M: A lot of young people can’t afford to buy; the ‘bank of Mum and Dad’ is I think the sixth biggest lender in the country! There are some real positives to affordable homes, not just for people on low incomes, but also for a wide variety of people who are working full and part-time. At Midland Heart we’re looking to have more robust conversations with our local authority partners about how we can create more balanced and sustainable communities; bringing together people with a variety of different aspirations and from a number of different economic backgrounds. Dawn: It’s important to get the mix right as that makes a good community, so it’s refreshing for us that we’ve got housing association and developer partners who are on the same page and it’s much easier to move forward. Social housing is a tenure to be proud of and we need more. Chris L: It’s good that the Government is putting money into affordable housing, but they also need to put resources into planning departments, and increase the training of professional and trade based personnel, as there certainly is a skills shortage in the UK and across the board in the construction sector. Working with Nuneaton and Bedworth has been very positive experience, but quite a few planning departments we deal with have only got one or two planning officers left. They are dealing with householder extensions, conservatories and when we put a 100-unit scheme in front of them they are very stretched in terms of resourcing, which in turn elongates the process. That’s why planning often takes six, seven, eight months and then we’re not on site within a year of doing the deal which is very frustrating, so the Government certainly needs to look at that. Dawn: There is a national skills shortage in this area — yes it is very difficult to hold onto planners and we work hard to recruit and retain them. We’re lucky to have an excellent planning and development team and we ensure that they know how valued they are.